A dedicated and talented teacher. 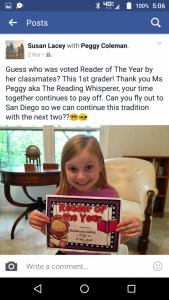 The world needs READERS and Peggy is doing her part to make this happen! 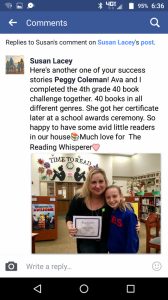 Just love THE READING WHISPERER. My four year old can’t wait to get started again this summer! Phenomenal educator who shares her passion for reading and lifelong learning with her students! A true gem! So excited about your free library! 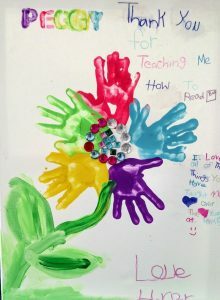 Love your passion for teaching and know I am blessed we can work together! Copyright 2019 The Reading Whisperer. All Rights Reserved.